Several garages and sheds have been broken into across the Horsham district in the past week, according to police. On Tuesday (September 26) five garages in Hills Place, Horsham, were targeted by thieves who forced the locks and stole a bicycle from one of them. Several more garages in River Mead, Horsham, had their locks broken between Monday and Wednesday. However, police say there are no reports of anything being stolen. A garage door was forced and a bike stolen at a property in Corsletts Avenue, Broadbridge Heath, between Sunday and Monday. An off-road bike was taken after thieves bent the lock on the garage door in Tanbridge Place, Horsham. And two garages were broken into, but nothing stolen, from a house in Ash Road, Southwater. 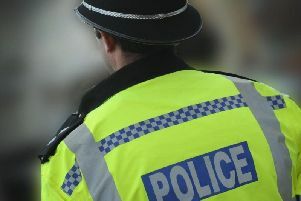 A shed in Storrington Road, Thakeham, was entered by breaking the lock and garden tools stolen. Overnight on Wednesday and Thursday, someone broke into a container in Coolham Road, Brooks Green, and stole power tools. A number of houses were also broken into. In Bell Road, Horsham, thieves broke the glass in a rear door and stole a small amount of cash. At Ropeland Way, Horsham, trainers were taken from an insecure porch. Jewellery was taken after the rear door of a house in Emms Lane, Brooks Green, was forced open. And jewellery was also taken from a property in Kestrel Close, Horsham, after the conservatory window was broken to gain access.